Quilchena’s wide green fields are welcoming to sports enthusiasts and those looking for a pleasant stroll alike. Majestic poplars tower over the rolling lawns and shelter the seating areas below. 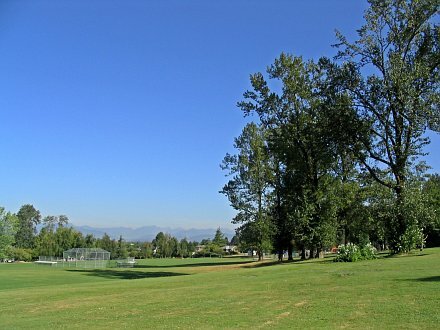 Originally owned by the Canadian Pacific Railway (CPR), the CPR leased this land (40 acres in total) to the Quilchena Golf Club. The word “Quilchena” means “flat place near the water” in the local First Nations language. 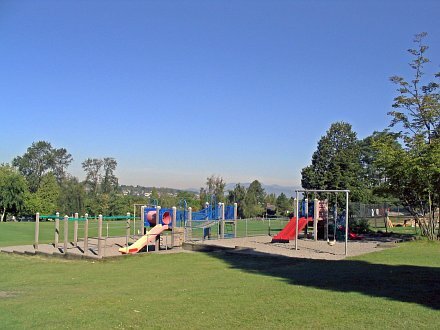 On February 11, 1956, following the expiration of the CPR’s lease with the golf course, the Park Board purchased the eastern area of the course for park purposes and this site was designated Quilchena Park. 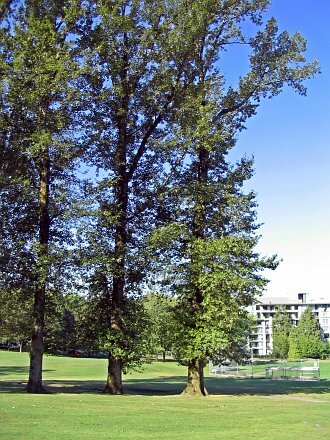 The western portion of the golf course became Prince of Wales Secondary School. Park development began on January 22, 1962.